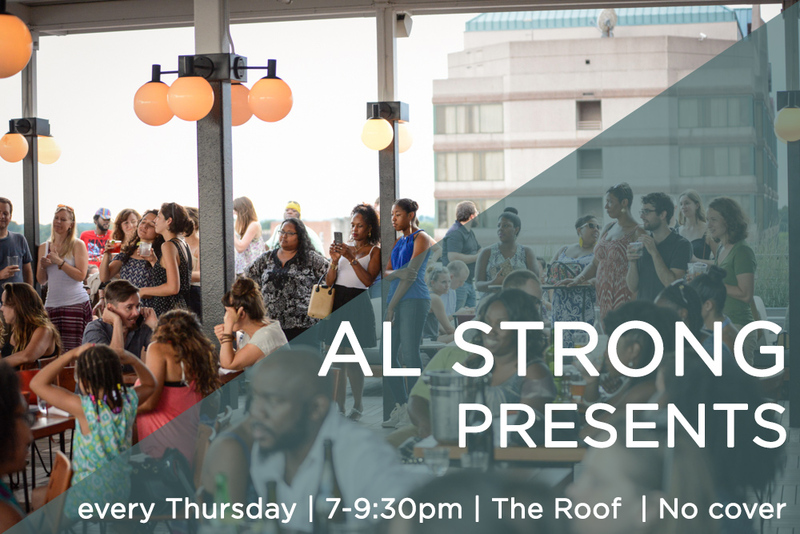 Al Strong Presents is a live music platform that is part jam session and part feature performance, bringing the best musicians, singers, and even tap dancers in the area, to the roof at The Durham. The jam session is a continuation of a long tradition in jazz music, where musicians and creatives alike, coalesce around their love for music, art, and culture. Stay tuned for more information about our upcoming performances! When not performing in the Raleigh-Durham area, Strong balances his non-profit responsibilities at stArt of Cool, adjunct trumpet professorship in the jazz studies program at his alma mater, NCCU with traveling and performing. He is regularly booked in jazz scenes up and down the East coast, frequenting cities such as New York, DC, and Atlanta. He has headlined his own shows at the BlueNote Jazz Festival, the Winter Jazz Fest, Blues Alley, and a host of other clubs. At the heart of Strong’s work ethic is dedication to building a brand based on good, honest music that connects with and speaks to the listener’s hearts.